Now that warmer weather is upon us, flies are making their presence known, bothering both horses and their owners. There are several thousand species of flies in the U.S., but only a relatively few create problems for horses and people. These can be broken into two groups: Biting flies—those that feed on blood of a living host—and filth flies. Filth flies are flies that breed in manure, carrion, or other rotting organic matter (garbage, wet feed or animal bedding, rotting vegetation). One basic rule applies with filth flies: If you feed ‘em, you got ‘em! And, if you have a horse, you are feeding flies. People often comment about seeing thousands of “baby flies” on horse manure at certain times of the year. Actually, baby flies are maggots. If a fly has wings, it’s an adult and will never get any larger. 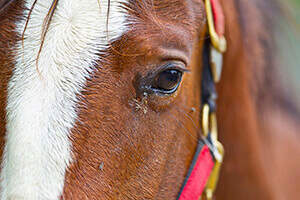 Those tiny “gnat-sized flies” are other species that feed on manure, most of which are not bothering your horse, and may even be beetles or parasitoid wasps that prey on fly eggs, larvae, or pupae. The most important and ubiquitous filth fly around horses is the house fly (Musca domestica). House flies also have a special fondness for breeding in horse manure, and one study showed on average a single pound of horse manure can generate 685 house fly larvae! According to published studies, a 1000 lb horse produces about 31 lbs of manure per day, equating to the potential for over 21,000 flies per day, or nearly 150,000 flies every week! In warm weather, house flies can go from egg to maggot (larva) to pupa to adult in as little as 7-10 days. So, during fly season, it is imperative to diligently and continuously exercise proper manure management to prevent flies from breeding “on site.” This is a 7-day-a-week job, and letting efforts slip even a short while can result in a sudden “explosion” in fly numbers. Exercise good cultural control: remove manure and soiled bedding from stalls regularly. Keep stalls dry and exercise good moisture control to eliminate alternative breeding sites such as wetted spilt feed, unmanaged compost heaps and garbage. As it turns out, house flies like to breed in fresh manure, and generally have poor survivorship in manure over a couple weeks old. Stable flies (Stomoxys calcitrans, a biting fly species whose breeding habits are more like those of filth flies) like older manure at about the time house flies start to avoid it, especially when mixed with hay or other organic bedding. So, even “old” manure (before being fully composted) can generate a fly problem if moist. Flies come hand-in-hand with horses, but that doesn’t mean they have to ruin your ride. 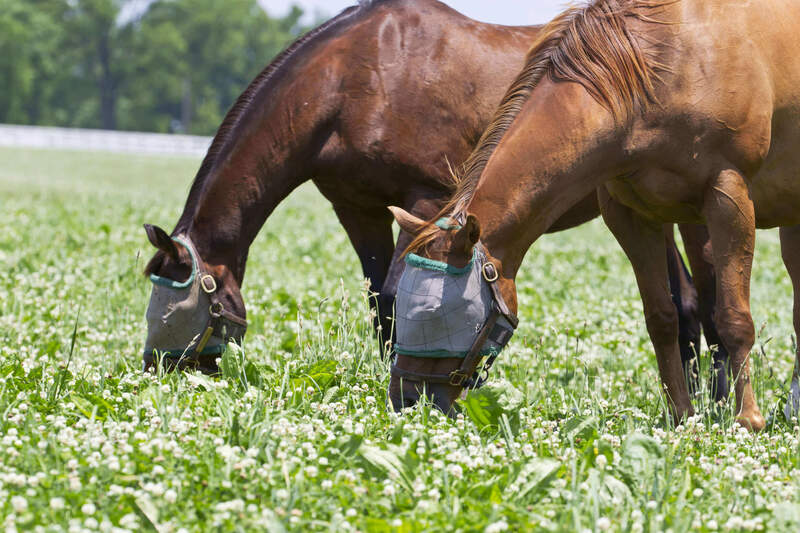 By managing your fly populations through a multi-step approach, you can reduce the irritation and possible health risk to your horse. Happy Riding!